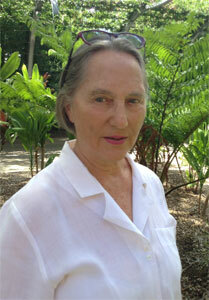 Nancy Underhill is a curator and art historian. Her books include Sidney Nolan: A Life (2015), Nolan on Nolan (2007) and Letters of John Reed (2001). I am currently reading Hillary Mantel's The Assassination of Margaret Thatcher and Thomas Grant's book, Jeremy Hutchinson's Case Histories. If I have a favourite library it would be the old Reading Room in the British Museum or its newer incarnation by St John Wilson at Euston which is a great conceptual environment. In relation to my book, Sidney Nolan: A Life the best advice I got was from a great friend, Brian Johns, who after he read a bit I sent him, told me to scrap it and write what I wanted to figure out about Nolan in my own way. Whether one likes the result or not this is what I did. As an art historian living in Australia, the chance to write at length about Sidney Nolan is pretty irresistible. When I came to Australia in 1963 his work was some of the first I saw at the Johnstone Gallery in Brisbane. Funny I should end up something of an authority on him given in London I had just done my second degree on churches before 1200 in Oxfordshire and barely knew anything about Australia before I married an Australian. 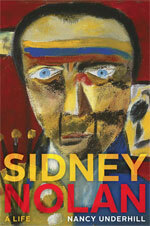 Want to know more about Sidney Nolan: A Life? Digging through the myths around Australia’s most famous artist, many of which he created himself as a masterful self-promoter, this book is the biography that Sidney Nolan deserves. In an authoritative, insightful and often irreverent biography that fully charts Nolan’s life and work, Nancy Underhill peels back the layers from a complicated, expedient and manipulative artistic genius. She carries the story from Nolan’s birth in 1917 to his death in 1992, tracing his early life, his experience as a commercial artist, his involvement in the Angry Penguins magazine, his painting and set design, his difficult marriages and friendships with some of the twentieth century’s most famous figures: Patrick White, Albert Tucker, Benjamin Britten, Robert Lowell, Stephen Spender and Kenneth Clark.